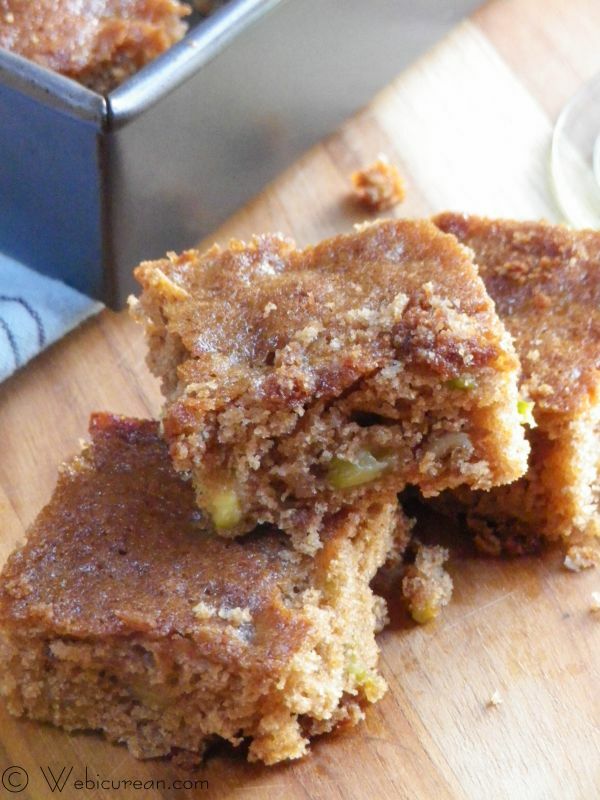 While searching for something interesting to make with zucchini, I stumbled across a recipe for zucchini blondies. Hmmm. I do love a good blondie, almost better than brownies (gasp!). I have a thing for butterscotch, what can I say? I know from many years of baking zucchini bread that the mild flavor of zucchini works well in baked treats. Why not a blondie? The combination may seem odd, but trust me, when zucchini season is in full swing and you have zucchini coming out of your ears, you’ll be thanking me for this recipe. And you’ll be marveling at how good these blondies taste, seriously. The original recipe from Smith & Hawken’s Gardeners’ Community Cookbook called for butter, which obviously is a key component to that butterscotch flavor. However, I decided to throw caution to the wind and use coconut oil instead. You won’t miss the butter at all. In fact, the coconut flavor seems to enhance the butterscotchiness, and as a bonus the coconut oil helps make this slightly healthier. I also skipped the all-purpose flour and used whole grain spelt flour instead, which adds a nice nutty flavor and can be subbed 1:1 for regular flour. These substitutions made for a lighter blondie with a cake-like texture. I think you’ll agree, this recipe is a keeper. It’s also super easy to throw together–so let’s start! Peel and dice the zucchini. 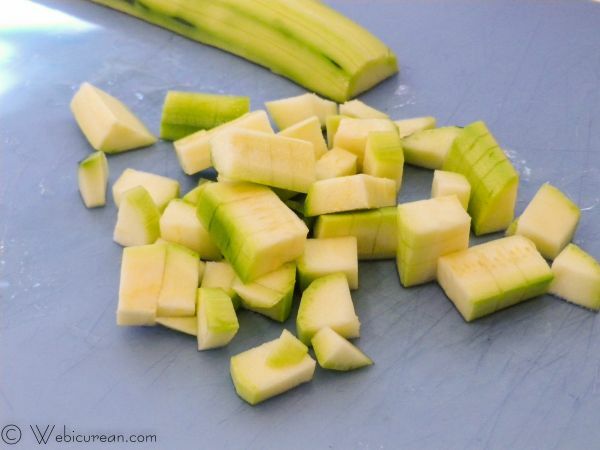 One medium-sized zucchini should yield about one cup once it’s diced. Set aside. 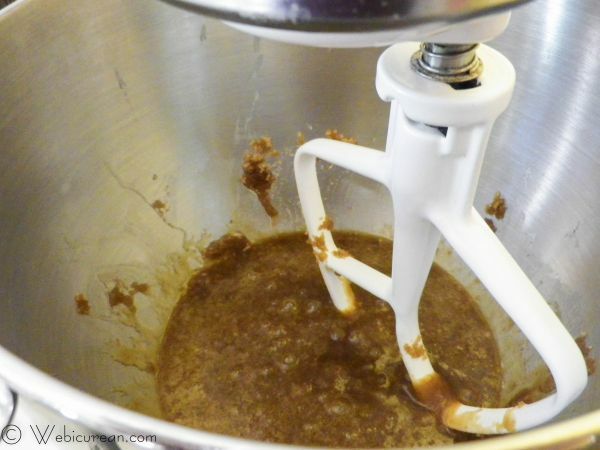 In a mixer bowl, let’s get the wet ingredients and the brown sugar all mixed together. Now, sift the dry ingredients into the bowl and blend well. Note, the batter is really stiff. 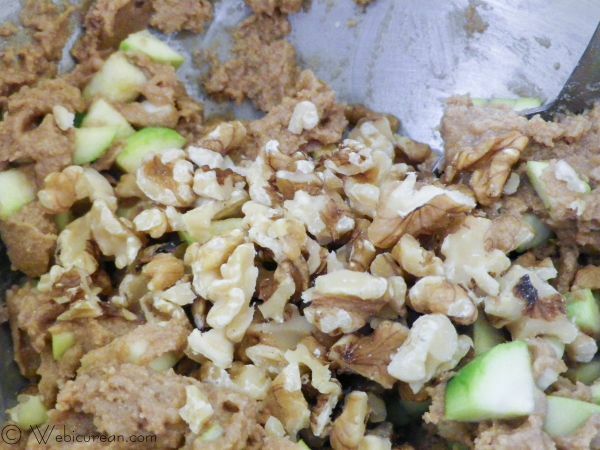 Stir in the nuts and zucchini. 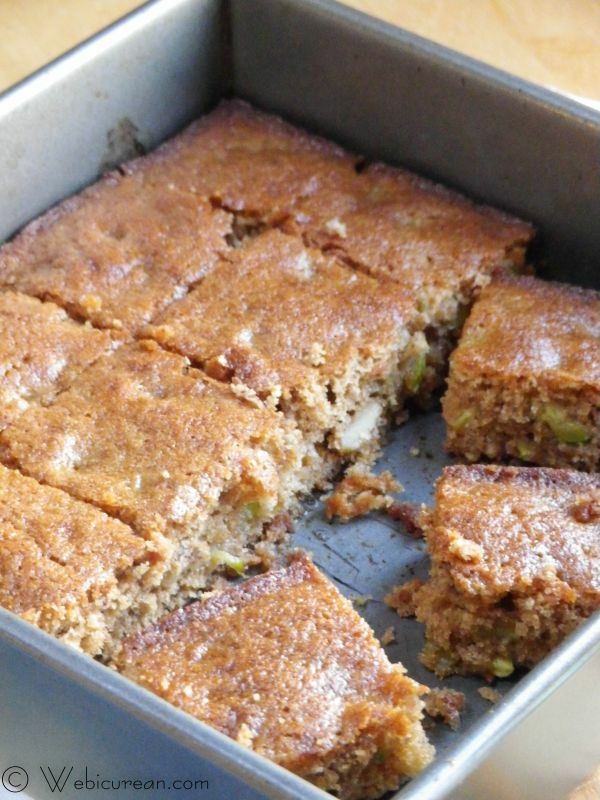 The zucchini will help soften the batter and will help make these blondies moist. These are best served warm, right out of the pan, with a tall glass of milk. Try not to eat the whole pan in one sitting. 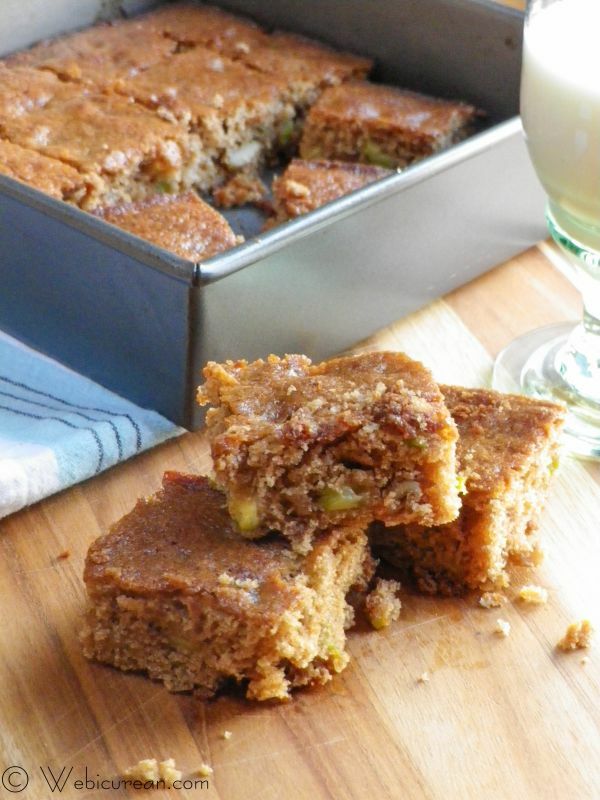 These flavorful blondies get their moistness from zucchini, and the addition of spelt flour and coconut oil give them a great taste. Preheat oven to 350 and grease 9-inch baking pan. 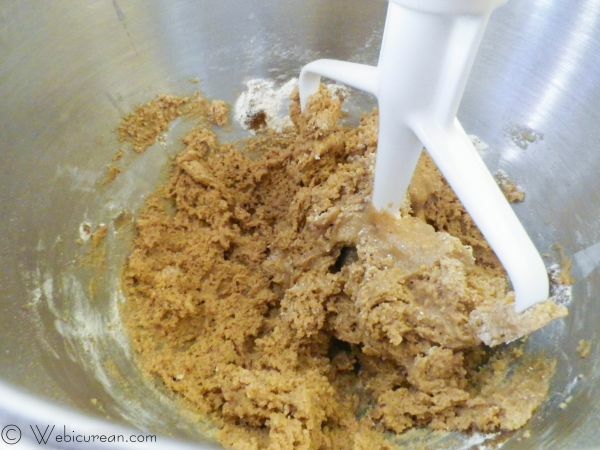 In a large mixing bowl, combine the coconut oil, water, applesauce, brown sugar, egg and vanilla until well blended. Sift the dry ingredients into the bowl and mix thoroughly. Stir in the zucchini and nuts. The batter will be stiff. Spread the batter into the greased baking pan, and bake for 25 minutes or until a knife inserted into the center comes out almost clean. Note: I earn a modest commission from any purchases made via the Amazon.com links on this page. Blondies are definitely the best! Thanks! I think you’ll enjoy them! I’m intrigued. This is definitely a must try recipe. It sounds like a terrific use for zucchini. It’s definitely different–but zucchini is so neutral, it’s an easy fit for sweet treats! OMG! I never would have thought Zucchini, but these look pretty good. I think I might give these a shot. A friend told me about squash in cookies, not sure I am ready for all of that just yet. Thanks for sharing! Thanks! Youâ€™d be surprisedâ€“the zucchini keeps them moist, and itâ€™s so mild, you hardly notice itâ€™s there. A long time ago, I used to make zucchini bread all the time, which is basically a spice and nut bread with shredded zucchini stirred inâ€“if you havenâ€™t tried that yet, check out an old Betty Crocker cookbook for the recipeâ€“itâ€™s quite yummy too! I made these exactly as suggested- Except I used “all-purpose” flour instead of the “spelt ” flour. (It’s what I had on hand). And they are excellent! I highly recommend them to anyone looking to try something new. Thank you for sharing this recipe with us! So glad you enjoyed them–thanks for stopping by to let me know! Nice to know the recipe works fine with the all-purpose flour too! These look great! I love zucchini baked goods. If I wanted to use butter though, how much would I use? I don’t typically have coconut oil. Hi Carrie! The original recipe called for 5 tablespoons of butter, so that should be the correct amount.